The Arenite Pants are from the talented Meg from Sew Liberated. I’ve made a few of her patterns and I’ve loved the results each time. The Arenite Pants are ‘deep-pocketed, slouchy pants of your dreams. Incredibly versatile and amazingly cozy, you can wear these high-waisted pants for date night, in the office, or as pajamas‘”. Meg’s patterns have a very inclusive size range from 0 – 24. I made the size 24 and added a little extra for the hips. I cut the elastic the length of size 22 to account for the difference between my hips and waist. I made these up in a silky feeling viscose twill from The Remnant Warehouse. It’s still in stock and you can check it out here. 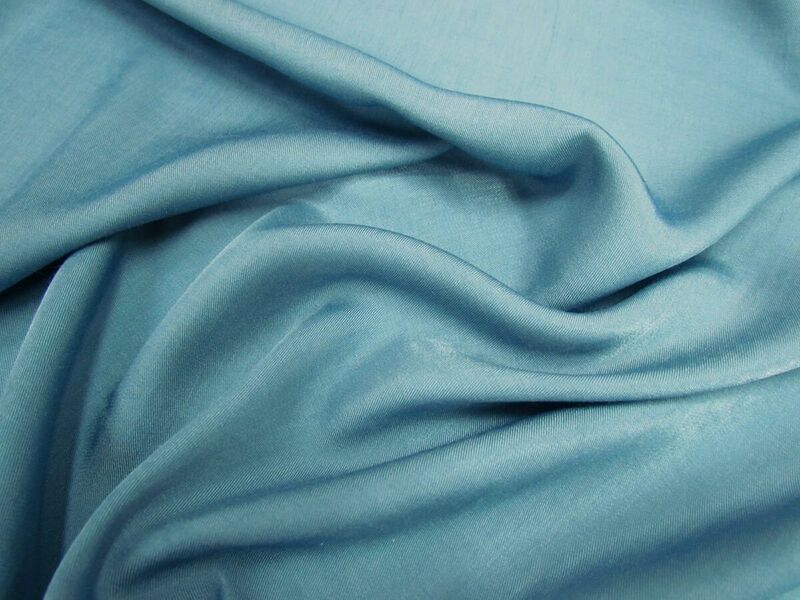 The fabric is absolutely gorgeous, drapes beautifully, extremely soft feel. With a slight sheen to it. I bought 4 metres originally but I only used a little over 2 metres. The rest I am saving for an ogden cami and hopefully a gypsum skirt so that I can mix and match outfits. Yes. I made them soon after the pattern was released and I wasn’t sure if they would really suit me but I was determined to make them. Luckily that fear was a moot point. The instructions are really clear. The pants are predominately sewed with flat felled seams which was a new technique for me. The instructions held my hands throughout the whole process. I love the drawings which help you through the process. Sometimes photos can confuse the process but these just guide you through. It is a good idea to slow down and take your time when assembling the pockets. POCKETS!!! They have amazing pockets. Like the majority of people I love pockets. These pockets exceed expectations. I was worried that they may make my hips seem larger than they appear but to me it feels like the complete opposite. Due to the freying of my fabric I ended up switching techniques to overlock then stitch it down. Next time I plan on following the pattern. I may give myself a little room in the crotch next time. I have a floral rayon version in my head. Which remind me of a pair Penny wore in the early seasons of the Big Bang Theory – back when they were all single. Dressy Secret pj’s with pockets of dreams. The Kielo Wrap Dress by Named Clothing is a wrap dress designed for either knits or wovens. There is also a free expansion pack to add sleeves. Its a popular pattern which has been reviewed a lot. It wasn’t until I saw a midi version with sleeves that I knew I had to make it. The pattern comes in sizes UK 4 – 18. I’ve inserted the sizing chart to explain why I choose the size I did. My measurements are 115 cm bust, 104 cm waist, 134 cm high waist and 143 cm low waist. These put me well out of the range included in this pattern. I read a lot of reviews, but the most help was Manju which is found here. We had similar body types and I just cut out the largest size with the sleeve add ons. I picked up a grey marle jersey and a geometric print knit from the Pitt Trading winter sale. The fabric was dispatched super quickly and was beautiful to work with. Yes – It meet with my expectations. It’s well photographed and published online so I had seen quite a few versions. I didn’t really follow the instructions. I read them initially then did my own thing. The construction process is pretty straightforward and there wasn’t anything out of the ordinary to the process. I really wished that there was bigger size range but I love how my dress turned out. I’m certainly not confident to try it in a woven. I added a neckband. I hate a turned knit neckline. I used a method I picked up which is to cut the neckband at 75% of your measured neckline. I also shortened the pattern by 30 cm to make the dress more versatile. I’ve made two versions and I would love to make a bright and funky sleeveless version for summer. A dress to take from work to play or even a big lunch. I did receive a copy of this pattern for free in exchange for me testing it and providing feedback. All opinions are my own. I really enjoy pattern testing and when Mel from The Wearable Studio was looking for pattern testers I thought ‘I can do that’. I like giving back by pattern testing when I can and particularly love that Mel is a fellow Australian. The Canary Cami is a twist on the traditional cami. When I first saw the line drawings I wasn’t sure it was going to suit me but any doubts were gone when I put it on. It has a centre front and a centre back piece and two side pieces to form shaping around the bust and the sleeve. It is a pdf download and there aren’t a lot of pattern pieces so it is pretty quick to put together. The pattern comes in sizes 6 – 18. I made the 18 but added a few centimetres to the hips to accommodate my pear shape. The pattern is drafted for a C cup and whilst I am a D cup I took a gamble and didn’t add any to the bust. This turned out to be a good call. I used about 80 cm of 150 cm of Barbie Pink Crepe from The Remnant Warehouse. I bought 2 metres a few years ago and made a top for work and had heaps left over. I loved that I can wash and hang it so I don’t have to iron it. Whilst the pattern asks for self made bias binding for the finishing at the neck and sleeve I love a contrast binding and raided my stash for some I had made earlier. I tend to make bias binding en mass when I get a few leftovers pieces that will work. I hate wasting fabric and this is the best way to use it and I love a contrast detail. I really loved the finish garment. It looked like the line drawing. The instructions were super easy to follow – there aren’t a lot of steps. But they are clearly written and beginner friendly. I found that I preferred to finish the sleeve by inserting the bias binding in the round. I also notched the centre front and back seams then overlocked them. I really like the shape and the amount of fabric you can get this out of. Great for using those left over pieces. I did wish that the seam allowance was a little bigger so that I could have french seamed it but that’s an alteration I can make next time. Other than grading out at the hip I made it straight from the packet. Yes – I already have. In some more crepe from The Remnant Warehouse which is also no longer available. I work in a semi conservative office. Bare shoulders aren’t super appropriate apart from during summer. This cami is a perfect addition to my work wardrobe and fits comfortably under my suit jacket. Would it be wrong to make more than 10? In the last year I’ve made two Tilly & The Button’s Cleo dresses, a pair of Sew House Seven Burnside Bibs, a self drafted pinafore dress using the Sewaholic Hollyburn Skirt. When I saw the Pippi Pinafore by the wonderful Jennifer Lauren Handmade I knew I had to have it. I really loved the shaping of the skirt and the fact there were options for cup sizes. I’ve pattern tested for Jennifer before and I know she makes amazing patterns. The Pippi Pinafore is a overall dress with an A-line skirt and fitted bib. It is available as a pdf with the option to print at home or on A0 size sheets. There are two big lined pockets and the bib is lined. The best bit about most of Jennifer’s patterns are that she offers different cup sizes and you can choose either an A, B,C or D.
I bought the pattern on release day and had it printed using Officeworks online printing service. I live in a regional area in Australia and I’m not that patient to wait for a pattern to arrive in the post so I buy my indie patterns as pdf. To save time in taping patterns together I use my local Officeworks to print patterns on AO. Despite having the pattern it took me a while to work out what fabric I wanted to make it out of. 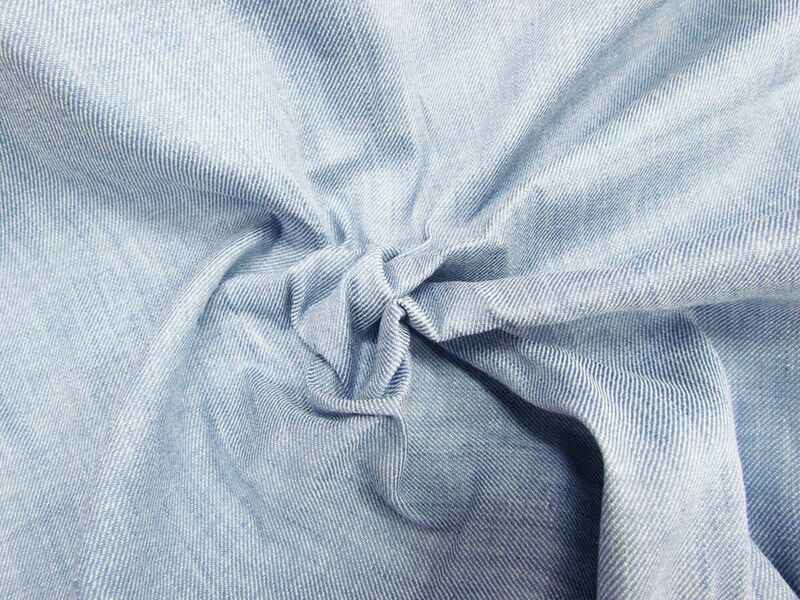 I found a beautiful light blue denim/linen blend from The Remnant Warehouse. This fabric is leftover stock from Australian designers Bec + Bridge. I like that I can do my bit for the environment but using leftover stock (the amazing girls at the Love to Sew Podcast have a few episodes about sustainable sewing check them out here). In real life the fabric has a beautiful colour and the linen makes it quite soft and easy to work with. I lined the inside of bib with Art Gallery Voile leftover from a previous project. I had enough leftover to line the bib and pockets and make some bias binding for the hem. The pattern is available in size 6 – 24 with A, B, C, D cup sizes. I did a size 22 D for the bib and a 22 waistband and graded out to a size 24 with an extra inch for the skirt. I ran the gauntlet and made it up without making a muslin. It was pretty spot on. I have a different body type to Jennifer and the drawings so I wasn’t expecting to be exact. The final version exceeded my expectations. The instructions were really clear to follow. I had never done a button closure but I had it inserted without any issues. I made a user error and put the straps on the back to front so I had to unpick the waistband and reattach them so that the angle was facing the right way. I really love the shape of the design, it feels a lot more grown up than other overall dresses around. I like that you could dress it up or down depending on what you pair with it. The darts and pleats make the skirt really flattering on a curvy figure. What made this even easier was that I didn’t have to grade or tweak the pattern too much to be able to sew it – gotta love those wide size ranges. To fit the back properly I added two small darts at the back to take into account my sway back. I also added a little the length and used a bias binding to hem it so I could extend the length. Next time round I may consider taking some length out of the bib to accommodate my short waist. Absolutely I may have even found this cute embroidered cord from Spotlight to make a second one. A grown up overall dress perfect for my inner 90’s child.